If 100 quilters were asked to define modern quilting, there would be at least 100 different answers given. Perhaps that’s what makes the modern quilting movement so appealing to such a wide variety of quilters. 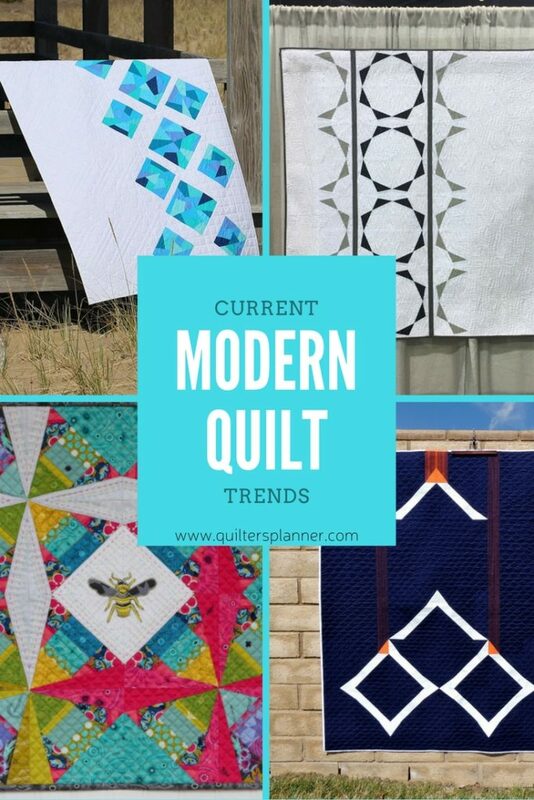 Here are the trends we’re seeing in modern quilts these days. Take a look at these gorgeous pieces of textile art below, and bask in the glow of the inspiration they provide. Bold and bright colors juxtaposed with negative space are definitely a powerful force in modern quilting these days. The negative space gives the eye a place to rest, and often brings to light secondary patterns that were not visible before. Below, is Kitty Wilkin’s Constant Flux mini quilt, made for Andover fabric. This quilt was made from Kitty’s paper piecing pattern available on Craftsy called Constant Flux. It’s fun to look at the original pattern and tease out the design changes made here. Kitty rotated each block from the original pattern180 degrees, which created the focal diamond in the center instead of in each quadrant. A simple alteration gave the quilt a completely different look, and just goes to show how you can also amend patterns you’ve purchased to suit your own whim. Constant Flux, by Kitty Wilkin from Night Quilter. 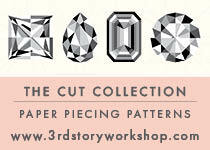 To purchase this paper pieced pattern, click here. Solid fabrics seemed to dominate the current modern quilting world, with tone on tone and subtle prints playing a stronger hand that bold large-scale prints. This Free Spirit Award of Quilting Excellence winner, Go North by Maritza Soto@sotosewn is a good example, as is the amazingly improv quilt Lincoln by Kim Soper @lelandavestudios (below), which won 1st place for Improvisation. 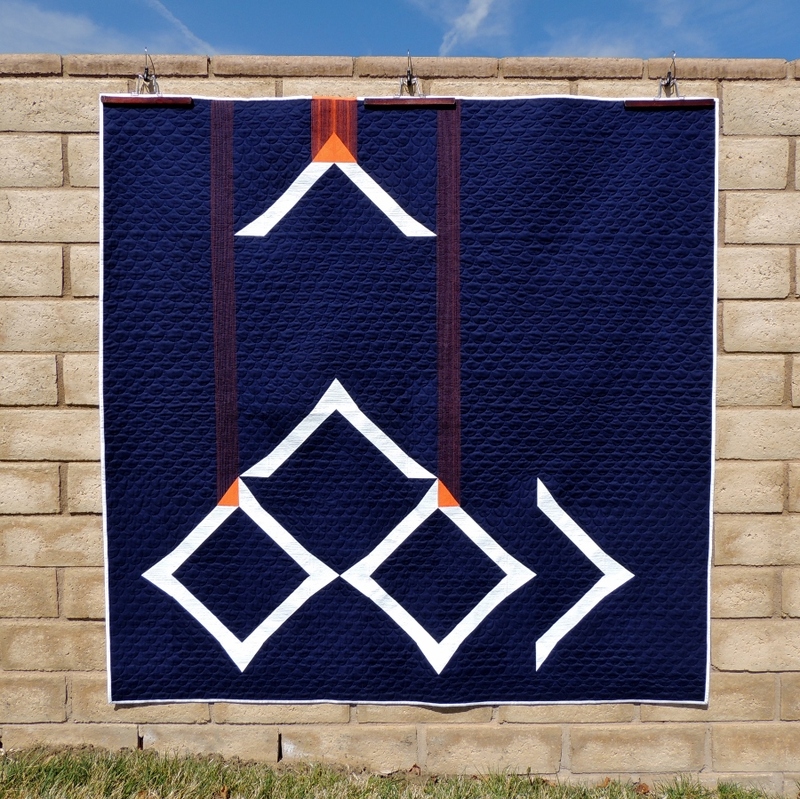 Go North by Maritza Soto @sotosewn, Free Spirit Award of Quilting Excellence. 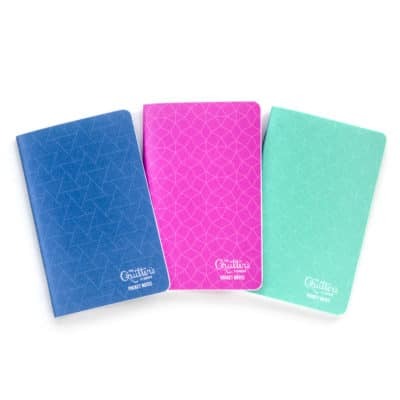 To find other patterns written by Maritza, visit her Craftsy store here. Lincoln by Kim Soper @lelandavestudios, 1st place Improvisation. To see more of Kim’s work, visit her blog here. Statement quilts are still making a strong stand in modern quilting, and they are both humbling and empowering to see in person. As Yvonne of Quilting Jetgirl reflected in her recent blog post about QuiltCon, many modern quilters use quilt-making as a tool in processing events, or perhaps create quilts out of necessity to help them process, creating some of the most beautiful and powerful textile creations ever seen. (Read Yvonne’s full post here for more examples and reflection.) Here is a photo of her quilt Beacon, and an explanation of how she has used this quilt as a tool in processing difficult events in her life. If you’d like to make this pattern, you can purchase it here. 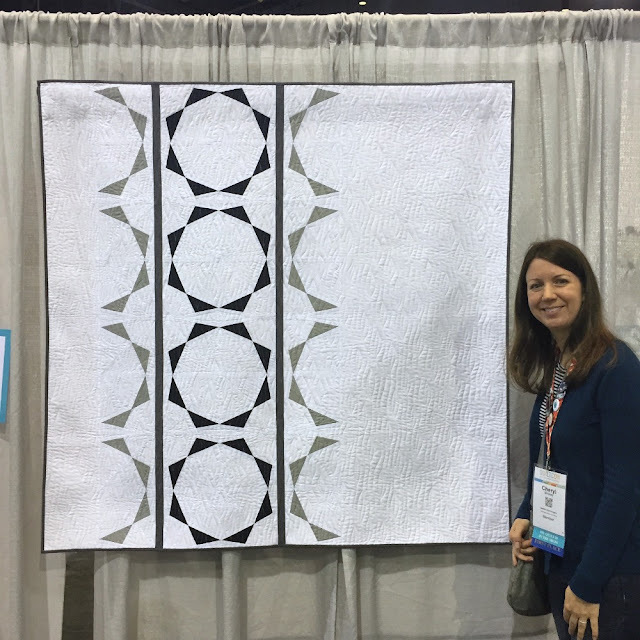 The modern quilt shown below is Tea and Skittles by Thomas Knauer @thomasknauer (Applique 2nd place at QuiltCon 2017). Read his story here. Minimalism continues to be a cornerstone in the modern quilting world. Half Circle Mirror is a brilliant example of this technique. It’s by Cheryl Brickey from Meadowmist Designs and is now available as a digital quilt pattern on Etsy and Craftsy. A focus on using text in quilts also dominates in modern quilting, either boldly featured like in Autumn is Wistful by Chawne Kimber @cauchycomplete, subtly and not so subtly pieced like in Implied Consent by Colleen Molen @busybean (3rd place in Use of Negative Space), or quilted into the actual quilting, like in Minimalism with Meaning: The Story of Us, made by Hillary Goodwin @entropyalwayswins with the Bee Sewcial group blocks (below). Detail: Minimalism with Meaning: The Story of Us by Hillary Goodwin and her BeeSewcial mates. Bling by Katherine Jones @twocatsquilts is an epic and gorgeous quilt. It won best in show at QuiltCon 2017, and was foundation paper pieced from solids based upon the inspiration of a princess cut diamond. Clearly, paper piecing has a strong place in the modern quilt world. Sure, it can help you create perfect shapes and images, but it’s clear now that it can also help take an abstract idea and break it into manageable, clear chunks. 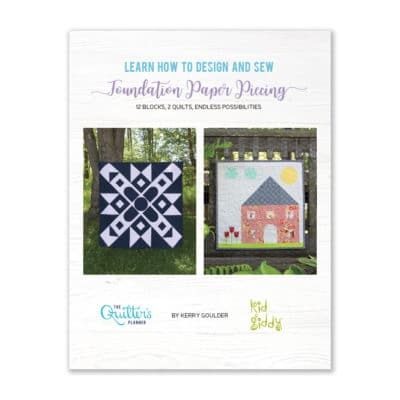 The idea that paper piecing has a stronghold in the world of modern quilting has also been brought to life by the recent release of Amy Friend’s new book, Improv Paper Piecing, which expertly guides quilters through a genius, technique based approach to improvisational paper piecing. 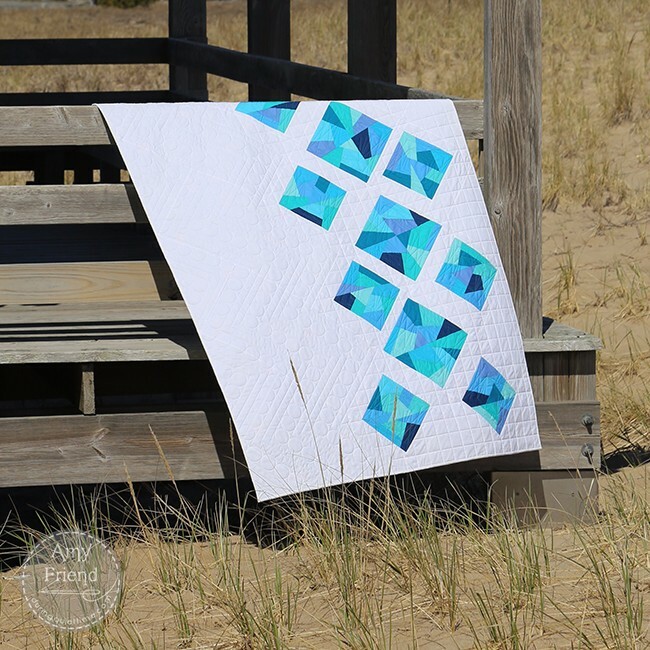 The Sea-Glass quilt, pictured below, from Amy Friend’s Improv Paper Piecing book is a perfect example of how her beautiful technique takes foundation piecing to a whole new level. Curves abound in modern quilting, with a clear nod to mid-century modern design elements. Who would guess that modern quilters have fallen in love with the most traditional of all techniques: hand quilting and embellished details. 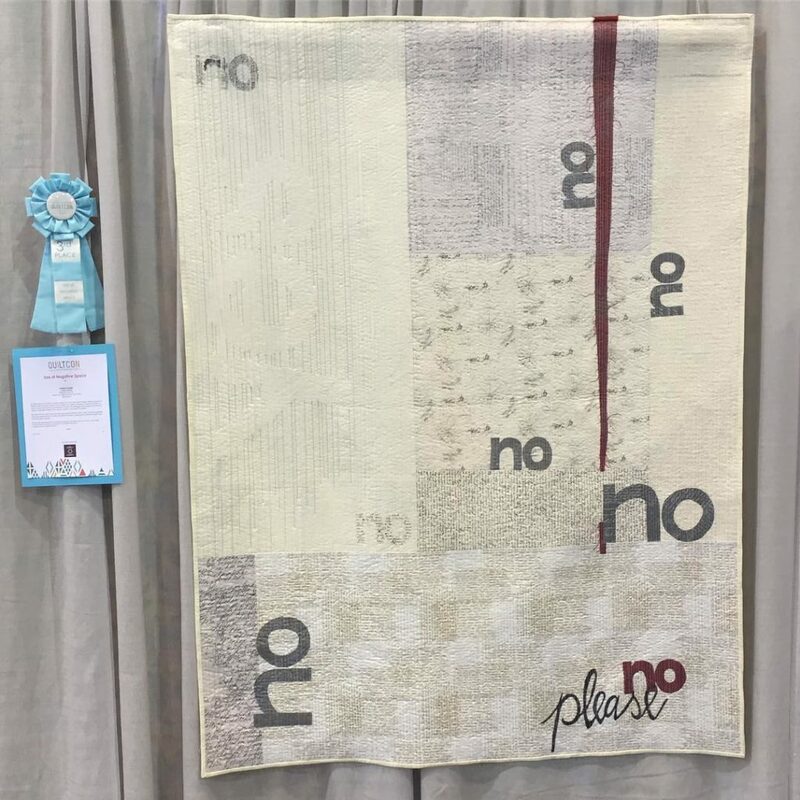 Canary Meets Goldmine by Stephanie Ruyle@spontaneousthreads won 1st place for Handwork, and beautifully illustrates how traditional methods of embellishing a quilt can effectively create a modern aesthetic. To view more of Stephanie’s powerful, modern style, visit her blog here. The full amazingness of this quilt cannot be realized until it is inspected from a nose-distance away. French knots!! 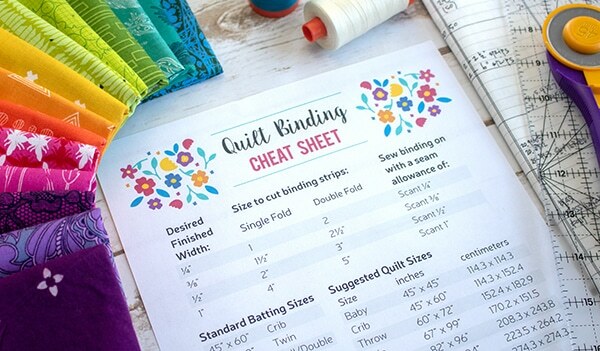 Make sure you’re on my email list so you can receive great updates and free sewing and organizational printables! 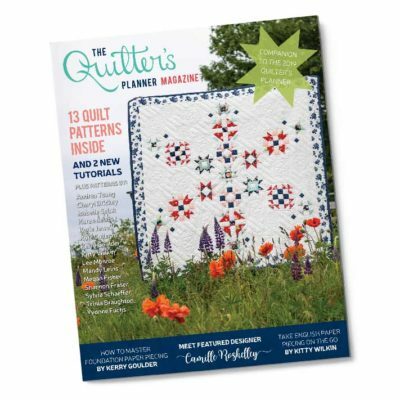 Join me on Facebook in a wonderful, supportive community – The Late Night Quilter’s Club and our Quilter’s Planner Facebook Group. Check out my Instagram feed for gorgeous, inspirational photos!